The perfect tie for the Fall and winter season! 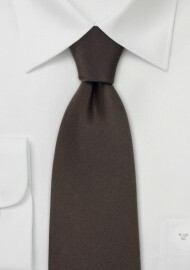 This dark brown, handmade silk tie by Parsley looks best when paired with tan, brown, olive, and navy suits. 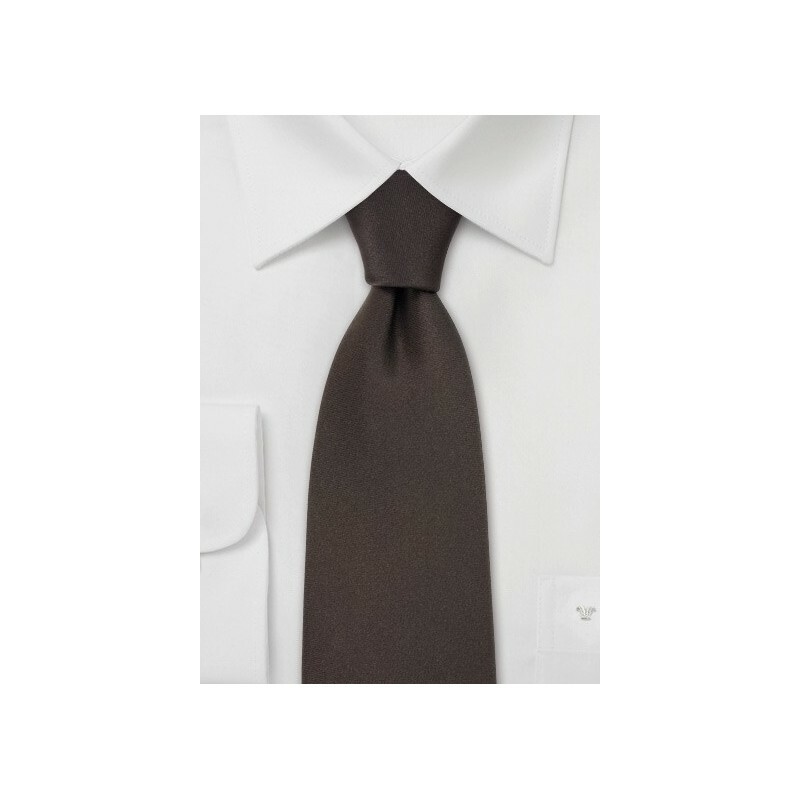 We like this tie the most when paired with olive suit, light cream colored shirt, and an off-white pocket square. This tie is made in XL length for tall men. It has a total untied length of 62 inches and will fit men with a larger neck and above average height. Handmade from 100% woven silk.